When I heard about the iHeartRadio Podcast Awards I was very curious. When ads claimed the show would be “the first EVER major Podcast Awards program where your vote will decide who wins,” I was surprised. Podcasting has been flourishing for over a decade, had there really never been a listener-decided award show? It only took a quick Google search to find out the claim wasn’t well-founded (you can find Bello Collective’s rundown of podcast awards here) but I was still interested to see the first of an annual award show focused on honoring podcasts. iHeartRadio marketed the show as ground-breaking and I was excited to be part of it. After the third three-minute break during which the cameras panned around to show the guests at their tables, I started to reconsider my excitement. But I persevered and here are the results: some thoughts on what could make the 2020 iHeartRadio podcast awards even better. Though I enjoyed seeing some of my heroes on stage, watching the show was almost humorous at times. From the crowd’s refusal to clap after hosts’ pleading to the four of five moments when the person on screen was entirely unaware of what they were supposed to be saying, the entire event seemed to fall short of the hype. Were this truly the first awards show for podcasters, they may have felt a bit cheated by the lack of production quality but also by the apparent lack of interest by major podcasters. While there were many big names in podcasting attending, especially among those presenting awards, several of the winners did not accept their award at the show. Joe Rogan, Jonathan Van Ness, and the hosts of Ear Hustle were not in attendance, though they all did send in video acceptance speeches. Awards were also handed out on the red carpet before the show and, based on the pictures and videos uploaded to Twitter, only a small portion of the winners felt the need to attend. iHeartRadio may want to reconsider their advertising; if they get the winners of this year to mobilize fans there could be a major rise in enthusiasm. Hopefully, coming years will see iHeartRadio improve the quality of their show and get more Creators excited to participate in order to increase listener interaction and viewing. While I was writing this up one of my coworkers pointed out something I had missed. He informed me that Mission to Zyxx, a nominee in the Best Scripted Podcast category, is an improvised show. On the show’s about page explains, “episodes are fully improvised, then lovingly edited and sound designed.” While Zyxx did not win, its categorization is still questionable. 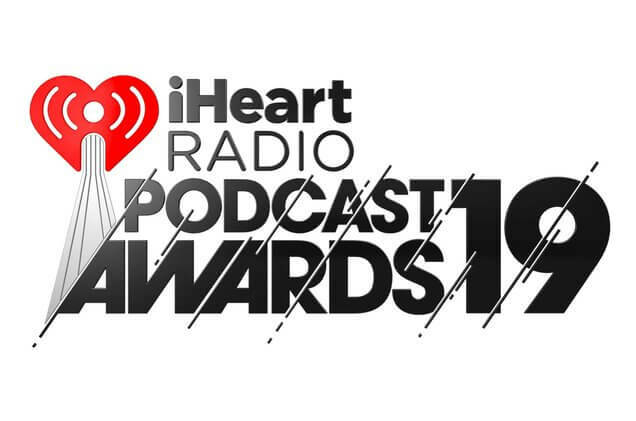 I did not go through every category and each podcast searching for nominees that may not belong, but the point is worth making that iHeartRadio will need nominees to stand firmly in their category if they wish to establish themselves as an award show worth paying attention to. On a similar note, I was rather surprised when Getting Curious with Jonathan Van Ness won the Best LGBTQ Podcast award. Jonathan is a prominent figure who is most well known as part of the Fab Five from the show Queer Eye. While Jonathan is a proud member of the LGBTQ community, his podcast has something entirely different as the subject. Getting Curious is described as “a weekly exploration of all the things Jonathan Van Ness (Queer Eye, Gay of Thrones) is curious about.” Jonathan interviews experts in a variety of fields on a variety of subjects and his show is entertaining as well as educational, but the podcasts it was up against in this category had LGBTQ topics as their focus. Similarly, The Breakfast Club won the Best Multi-Cultural podcast award and can boast multicultural hosts but, unlike its competitors, does not discuss multicultural issues, concerns, or history and instead is a morning talk show. Listeners may have picked their favorite show, but did these two podcasts belong in those categories at all? The question becomes if the categories are decided based on host identity or podcast content, and until that question is answered and acted on, tokenism looms large. At almost every lull in the show, there was someone telling me why they loved podcasting. Both the hosts of the event, all of whom have their own podcast, and video recordings of podcasters from around the world told me again and again why people invest in the medium. While I loved the inclusion of smaller podcasts, after the third installment in this less-than-thrilling saga, I began to pick up on an underlying tone: iHeartRadio thought it was necessary to explain why people loved podcasting as opposed to other mediums they could be participating in. Both Bobby Bones and Charlamagne Tha God have popular radio shows and, while explaining what they love about podcasting, seemed to be telling us how they justified putting time into a podcast or the ways a podcast just filled in the gaps of their radio show. Eventually, the barrage of reasons felt more invalidating than anything. The longer we are forced to explain the value of our medium the more solidified our relegation to “alternative media” appears. Podcasting may still be rising, but the rise itself has proven it will be part of a media movement that redefines “mainstream media” and those in or acquainted with the industry don’t need to be convinced of that. We already know it. All in all, the show needs a bit of work. As deserving as each of the winners and nominees were, iHeartRadio didn’t quite encapsulate the deep love that both Creators and listeners feel for podcasts. Next time, opportunities should be taken to discuss the medium’s growth, benefits, community building, and educational reach. iHeartRadio came into this with the best intentions: showcasing a phenomenal medium and the people who are pushing that medium to its fullest potential. Sure, the first go around, as is almost always true, was a tad rough, but there’s no doubt in my mind that, much like podcasts, time will see vast improvements. As long as we keep elevating the medium and we remain committed to honoring the people involved, award shows will quickly come to reflect that commitment. If you want to check out both the categories and the winners in each, Podchaser has made lists featuring all the nominees and marked those that went home with a trophy. Be sure to leave ratings and reviews to let the Creators know what you think!